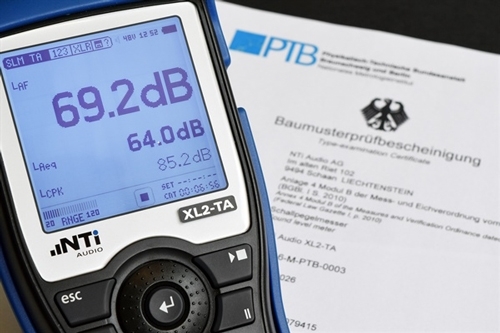 The XL2-TA is the first sound level meter in the world to receive Type approval for multiple configurations according to the IEC 61672-1: 2014 standard. This allows customers to carry out precision-grade, Class 1 measurements with the microphone attached or using a 5m, 10m or 20m lengths of microphone extension cable. In addition, the new XL2 firmware V3.11 offers a wealth of functionality enhancements, such as the integration of the XL2 into the NoiseScout system for environmental noise monitoring.